United Cakedom: Clotted Cream Fudge!! I really enjoyed the book and decided to make fudge after re-reading the beginning of chapter 2. 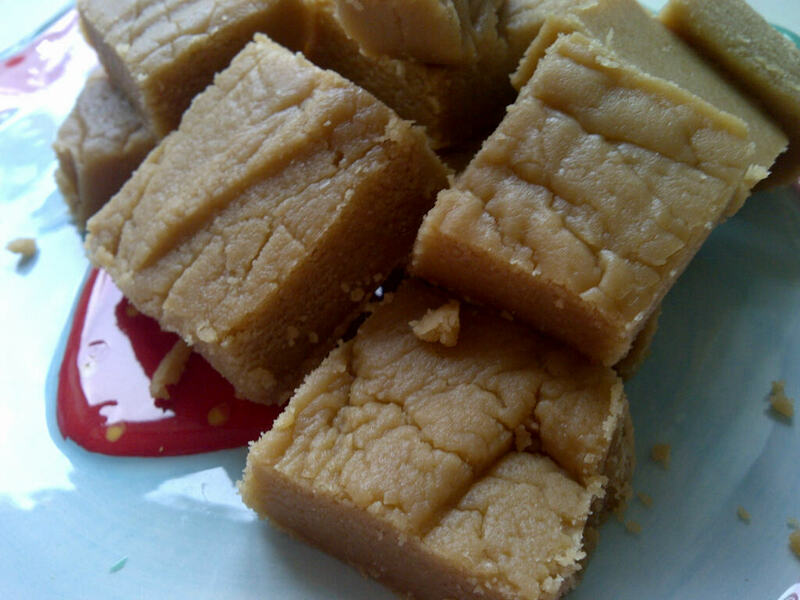 At the beginning of each chapter there is a little blurb about different sweets (candies) written by one of the characters in the book and she states that there are no acceptable flavors for fudge. I don't consider clotted cream a flavor... right? 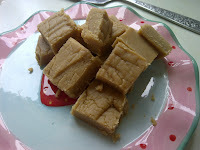 I love the Sainsbury's brand of clotted cream fudge so that's what I wanted to try to re-create. Firstly weight out all the ingredients and place in a large saucepan. 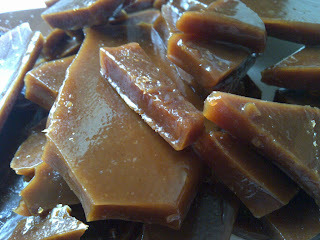 Place on a gentle heat and allow all the ingredients to melt together and the sugars to full dissolve. Then turn up the heat and bring to the boil, cover with a lid and let simmer for 3 minutes. Now check the temperature with a sugar thermometer, it should be at 116c or soft ball. If needed allow to simmer with the lid off until it reaches soft ball. Remove from the heat and beat until the mixture becomes matt, thick and creamy. Pour into a greased 20cm tin and set aside to cool. 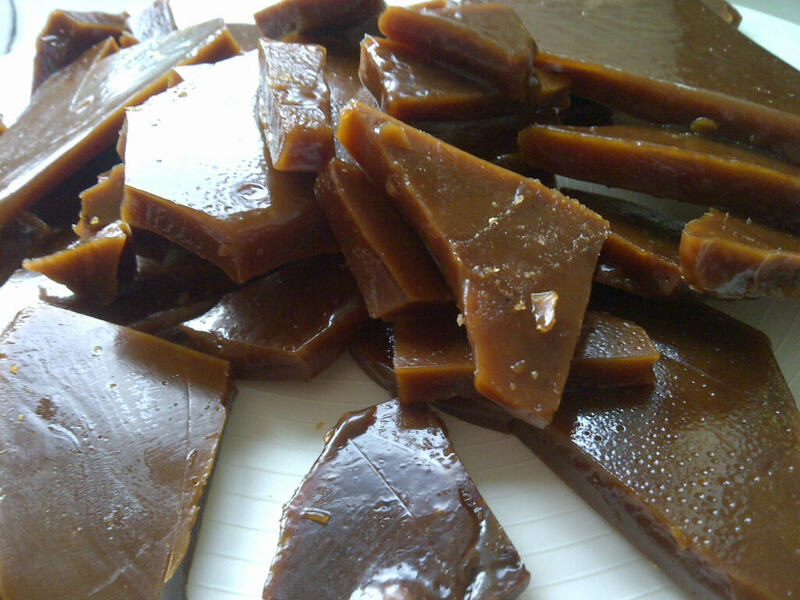 Once fully cooled cut into chunks and store in an airtight container. Simple enough right? Well, I wouldn't recommend answering your phone when making this. I missed the most crucial part and burnt my finger pretty bad on hot sugar. Jenny Colgan does warn her readers about this! I was in the middle of simmering and even though I read the whole instructions through before, when I answered the phone I forgot to beat the mixture and I just poured it into my prepared tin. In that process my pointer finger on my right hand got in the way! Ouch! Not that it really mattered as I burnt the mixture as well so I had to try again anyhow! I repeat NOT like this! 2. wear gloves next time for splatter control! 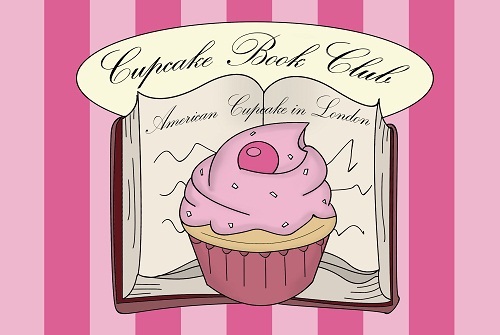 Thank you to Kelly for starting this book/bake club hope to join in next month!! 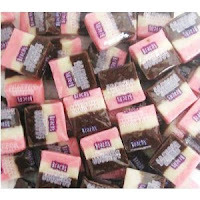 She made some coconut ice on her blog and it reminds me of Brach's Neapolitan Coconut Sundae's!! Used to get them in the pick n' mix at Kroger's when I was a kid! Oh the memories! Looks delicious! Thanks for reading the book! Thanks! and Thank you for hosting a great book club!! 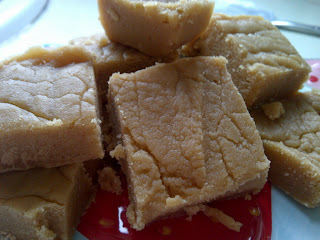 This was my first attempt at fudge but definitely not my last!! Besides the burning myself with boiling hot sugar it was pretty easy and the outcome was yummy!! More clotted cream did the trick then! You stole the recipe, that isn't very fair. If you had actually read my post you will see that I found it on another blog, who found it on the Good Food website. I never claimed that this recipe was mine.